With watchful, ongoing care, the health toll of diabetes can be minimized. Many diabetes patients need support to be vigilant, and electronic health records (EHRs) may provide it. Of course, the EHR doesn't actually do the real work of supporting a patient in her care. What it does is provide a central digital repository for all the health information about a diabetes patient. Having a health record that any care provider can access at any time, a recent study has shown, helps improve both the care and the outcomes for people with diabetes better than paper-based records. While corporations and organizations have been clamoring to help health care providers enter the digital age for many years, the Health Information Technology for Economic and Clinical Health (HITECH) Act of 2009 set incentives for providers to electronically capture health information, use that information to track key clinical conditions and communicate that information to help coordinate care, among other goals. The EHR accomplishes these feats and can thus provide a broader view of a patient's care. 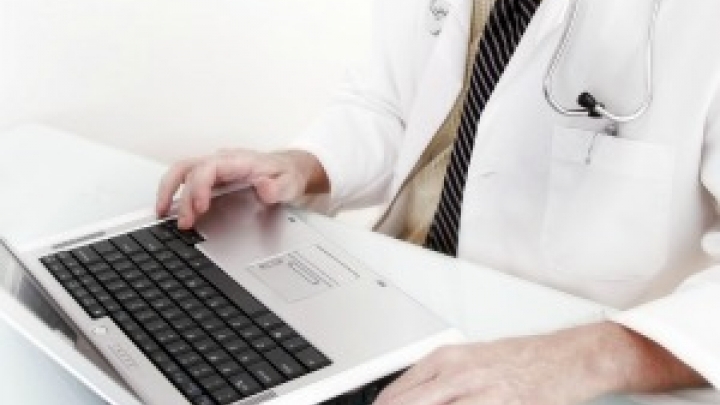 EHRs are designed to reach out beyond the health organization that originally collects and compiles the information. They are built to share information with other health care providers, such as laboratories and specialists, thus they contain information from all the clinicians involved in a patient's care. Because EHRs are designed to be accessible by all people involved in patient care -- including patients themselves -- that can make all the difference to patient care. When information is shared in a secure way, it becomes more powerful. Health care is a team effort, and shared information supports that effort. After all, much of the value derived from the health care delivery system results from the effective sharing of information between care providers and, ultimately, the ability of multiple providers to communicate information through one interface. Of course, the theoretical benefits of an EHR can be difficult to make real for a variety of reasons, primary among them being a lack of funds in cash-strapped hospitals to buy the necessary equipment and set up the necessary networks to properly operate in an electronic environment. Another reason is that some care providers are reluctant to abandon paper-based records, believing that the "old ways" have worked fine for decades and that electronic records aren't secure. The U.S. federal government is offering help with funding, and studies are being conducted to help convince care organizations and providers that the "new ways" can provide patients with higher-quality care, which is one of the ultimate goals of health care. One such study appeared in a recent issue of The New England Journal of Medicine. It compared the ongoing care and outcomes of more than 27,000 adults with diabetes in the Cleveland area from July 2009 to June 2010. The participants included patients covered by commercial insurance, Medicare or Medicaid as well as patients who had no health coverage whatsoever and who are the most vulnerable to poor diabetes control. Of the seven health care organizations included in the study, three used EHRs and four used paper-based records. Although previous studies had shown no significant advantages of EHRs over paper-based records in terms of quality of care, Dr. Randall D. Cebul and his colleagues found that about 51% of patients at EHR care organizations received care for their diabetes that met all four national standards for care, compared to just about 7% at paper-based care organizations. These four standards of care are foundational to the long-term management of diabetes. The first standard is measuring hemoglobin A1c, a blood test that measures average blood sugar control for the past 2 to 3 months. At EHR sites 95% of diabetes patients received this test versus 86% at paper-based sites. The second standard is broadly defined as "kidney management." It includes testing for protein in the urine, which can indicate kidney damage from diabetes, or prescribing an ACE inhibitor or angiotensin-receptor blocker, two types of medications that help control high blood pressure, which many people with diabetes also suffer and can lead to kidney damage. Nearly 63% of diabetes patients at EHR sites achieved the third standard of care, getting an eye examination. Uncontrolled or poorly controlled diabetes can cause a number of eye problems, including early cataracts, glaucoma and diabetic retinopathy, a condition marked by blurred vision, dark or floating spots or pain and pressure in the eyes. Only 31% of patients at paper-based sites received this care. The final standard of care, receiving a pneumococcal vaccine to help prevent bacterial pneumonia and other health problems, was achieved by 83% of patients with EHRs but only by 15% of patients with paper-based records. As the authors of the study note, the association between the type of medical record with high levels of compliance with the standards of care is stronger because this care is "largely under the direction of [care] providers," whereas outcomes also need "supportive home and neighborhood environments, active patient engagement and other resources that foster adherence to prescribed regiments." That said, because EHRs can be shared by all persons involved in a patient's care -- including the patient herself -- the care team can support better outcomes because a patient's EHR will show the team what tests have been ordered and when and what the results were, how a patient's A1c levels have been trending over the course of a year or longer or how a patient's blood pressure has been trending, which can indicate compliance with prescribed blood pressure medications and recommendations for diet and exercise. The EHR, in other words, can give a patient and her care team the full picture of her health rather than just bits and pieces that are available at one care site or another. Diabetes can be a devastating disease if not treated properly, and the key to proper treatment is an informed patient and care team. As the study results indicate, the EHR can play a vital role in having that well-informed team and helping a person successfully manage his or her diabetes.